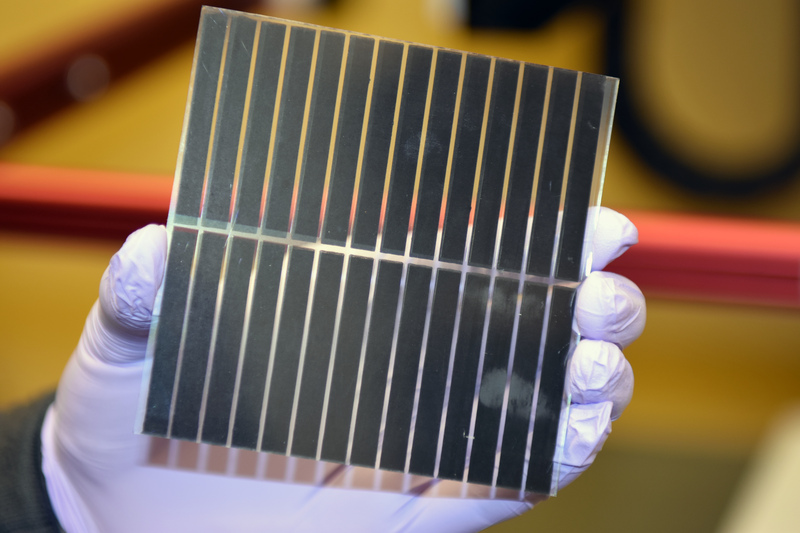 Perovskite solar cells have not yet been produced on a commercial scale. 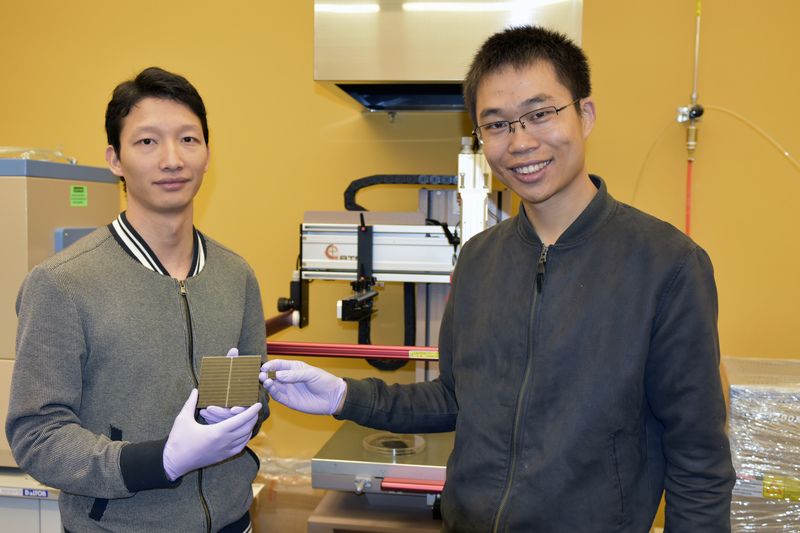 Currently, the OIST Energy Materials and Surface Sciences Unit’s new perovskite solar cells are small enough for Dr. Liu to hold them in the palm of his hand. 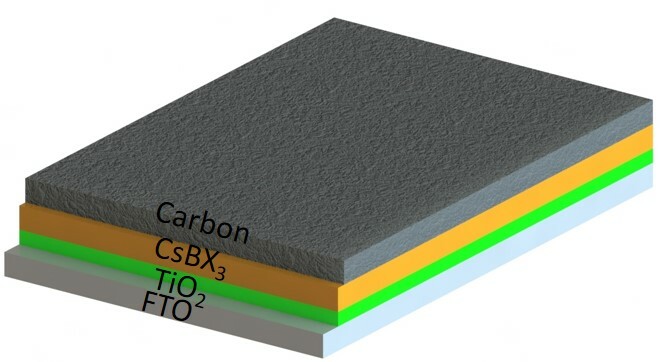 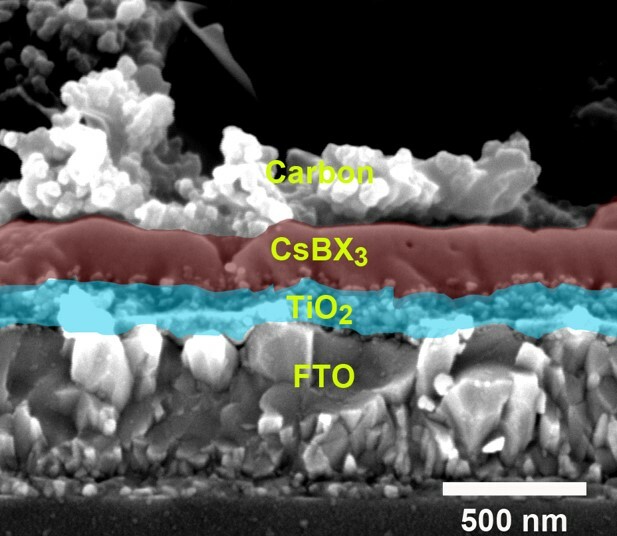 Electron microscopy image of perovskite solar cells, showing the different layers.